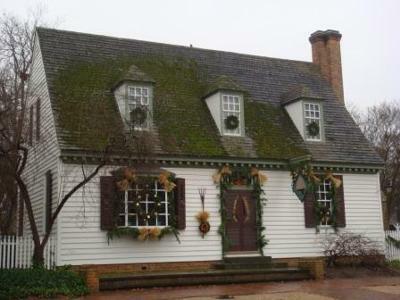 One of the Colonial Williamsburg buildings festively decorated for the holidays. I love visiting Colonial Williamsburg during the month of December. The first Sunday of December is the Lighting Ceremony. If you get the opportunity to come and visit it is a great time for the entire family. The fireworks are fantastic and you can see the fireworks from anywhere since they are shot off from 3 different locations. If you can’t make it for the Lighting Ceremony that’s ok; December is a great month to visit due to all the Colonial Christmas decorations. I love the simplicity of the decorations and get creative ideas for my home. Be sure to wander down to Merchant Square and visit the Cheese shop for a snack and Wythe’s Candy for those who have a sweet tooth! Join in and write your own page! It's easy to do. How? Simply click here to return to Your Favorite Virginia Travel Stories.